Nelson Mandela said that, “Education is the most powerful weapon which you can use to change the world.” With this in mind, six members of the FLEX alumni community in Moldova organized a project specifically focused on education: the Education Network Conference 2018 (ENC 2018). 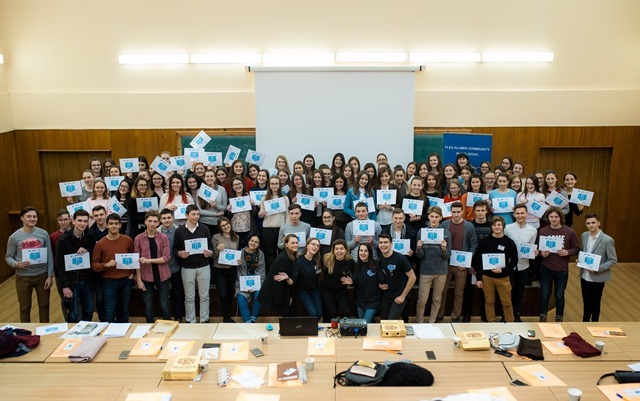 The third edition of Education Network Conference gathered 120 high school students from various cities in Moldova and Transnistria to help them develop specific skills and guide them through the career choices they will make in the future. Over two days, participants engaged in interactive sessions on topics such as: Leadership, Gender Equality, Personal Development, Entrepreneurship, TOEFL Test Practice, International Educational Opportunities, and Success Stories of famous Moldovan public figures. The conference took place on March 3 and 4, 2018 in the building of the Department of Urbanism and Architecture of the Technical University of Moldova. On the first day of the conference participants learned about gender roles from Valentina Bodrug-Lungu, Director of the Gender Centru NGO. Doru Curosu, a trainer and Forbes “30 Under 30” nominee, motivated conference participants to get out of their comfort zones in order to become great leaders. 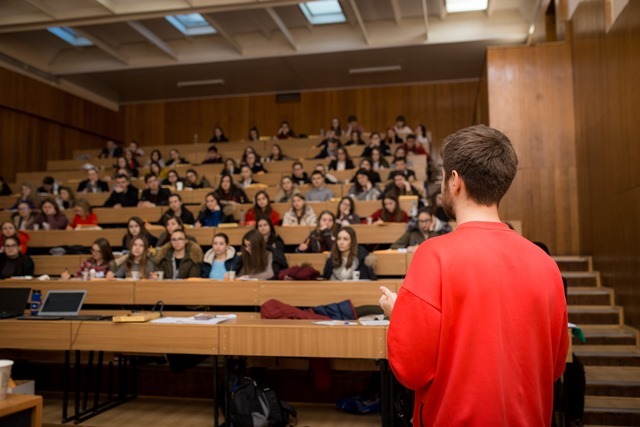 For the session regarding success stories, students had the chance to listen to the personal stories of journalist Natalia Morari, entrepreneurs Ion Bargan and Alexandru Lebedev, and the former Minister of Education Maia Sandu. The speakers shared their stories of failures and successes, which inspired them to be courageous. During the second day of ENC 2018, participants learned about international experiences from FLEX, UGRAD, and Erasmus+ alumni during the Study Abroad session. 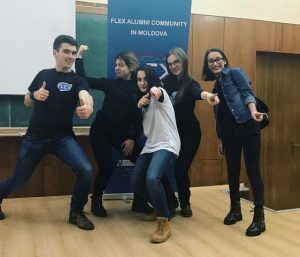 FLEX alumna and Fundraising Officer of the English Academy Catalina Turcanu ’13 (Chisinau, Moldova/ Auburn, ME) shared tips on how to successfully pass the TOEFL exam. Alexandru Bordea, a trainer and co-founder of Angry Business, challenged the participants to develop their potential and make the first step towards their dreams through an exciting session about Management and Personal Development. Lastly, Ion Mocan, a UGRAD alumnus and founder of RockIt Academy, advised participants on how to become more active in the society. 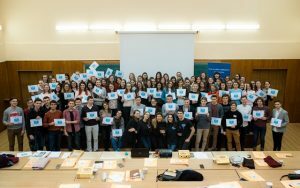 The Education Network Conference 2018 was organized by FLEX alumni in Moldova with funding from a FLEX Ability Workshop Grant. The ENC2018 staff Eduard Ciobanu ’17, Maria Panainte ’17, Irina Mihalachi ’17, Eugenia Popa ’17, Xenia Beliciuc ’17 and Alumni Coordinator Victoria Lungu ’13 aimed at promoting success stories and inspiring examples of role-models in Moldova in order to motivate youth to choose a career in Moldova.